T.K. 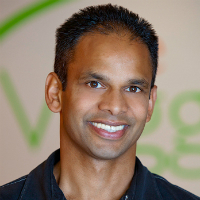 Pillan is the co-founder of Veggie Grill, the largest vegetarian/vegan restaurant company in the United States. With locations up and down the West Coast and starting to expand eastward. Pillan also co-founded Powerplant Ventures, a $42 million venture capital fund that supports visionary entrepreneurs who are leveraging the power of plants to deliver better nutrition in more sustainable and ethical ways. Prior to entering the food arena, Pillan earned an engineering degree from MIT and co-founded one of L.A.’s first e-commerce development firms.